The results from the latest Tradie Confidence Index (TCI) show that tradies are feeling more confident across the board. The latest results cover the final quarter of 2017, being October to December. In four of the five questions asked of self-employed tradespeople, the percentage of positive responses increased compared to the previous quarter. You can view the raw data on the TCI website, but as founding partners of the index, we have put together our own analysis. 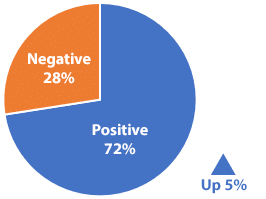 The total positive responses in the most recent survey were 72%, up from 67% in the previous quarter. NSW once again had the highest percentage of confident tradies, but the gap narrowed significantly. Last quarter NSW tradies were far more confident than the rest of the state (77% versus the national average of 67%) whilst this quarter it was 76% verses 72%. That would indicate business confidence amongst NSW tradies has dropped very slightly, whilst the rest of Australia has enjoyed a strong lift. 77% of tradies told us they had more work on now compared with the same quarter in 2016. This was up from 73% in the previous quarter. NSW suffered a slight dip, dropping from 88% to 86%. This still keeps them well above the national average. As with last quarter, most self-employed tradespeople are feeling more confident about their business for this time next year. 85% of respondents told us they are expecting to have more work in the final quarter of 2018 compared with 2017. This result was up strongly from 76% in the previous quarter. Once again, NSW tradies had a level of confidence (95%) that was well above the national average. Looking at the trades overall, there seems to be a lot more confidence in how 2018 is looking. 76% of tradies felt that the industry would be enjoying good times over the coming 12 months. This compares to just 67% of respondents in the previous quarter. NSW and Victorian tradies were considerably more confident in this area compared with the other states. Tradies are far less confident about the overall Australian economy, and less confident than they were in the previous quarter. 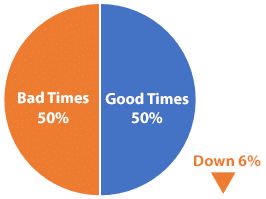 Last quarter 56% of tradies were expecting good times, but this has dropped to just 50%. This was the only question in the survey where confidence had dropped from last quarter. Queensland tradies were the most confident about the Aussie economy, with 60% expecting good times. Despite there being little faith in the overall economy, most tradespeople still thought it was a good time to invest in their business. 69% of respondents felt it was wise to invest over the coming 12 months, which is a slight increase on the 66% positive response from last quarter. Tradies in Queensland were again most confident in this area, with 80% believing it was good time to invest in their business. This is only the second quarter that the TCI has been run, so we can’t yet look at the trends in a meaningful way. On the face of it though, it certainly appears that business confidence amongst tradies has increased compared with the previous quarter. The only thing that tradies aren’t so confident about is the overall Australian economy, which probably reflects the feeling in most businesses Australia-wide. Survey responses are now being collected for the current quarter, which run from January to March 2018.